7 days, 150+ lambs, and it’s done! Lambing is complete! 82 ewes, 153 lambs born (144 live for a 94% survival rate), one week…and it’s done. The UK-sired AI babies have arrived. Lambing went well. Due to the number of ewes lambing in such a short period of time, we kept round-the-clock vigil to prevent maternal mix-ups. There was one time that 10 ewes were in labor at once, and it was beneficial to have plenty of jugs (4′ x8′) to keep them separated. We also had our ‘lunchtime rush’ one day- 11 lambs born in 10 minutes. Needless to say, we’re glad to be catching up on sleep now. 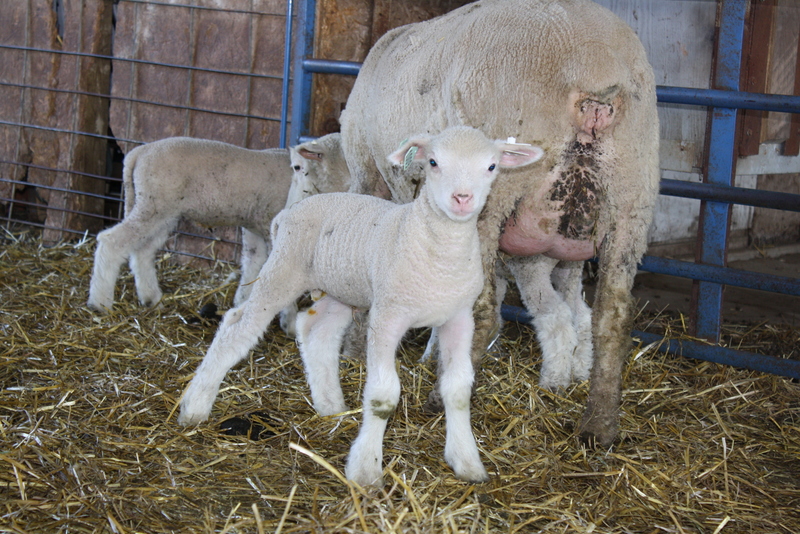 And oh, is it sweet to have lambing completed….no long weeks of checking the barn early in the morning and before bedtime. 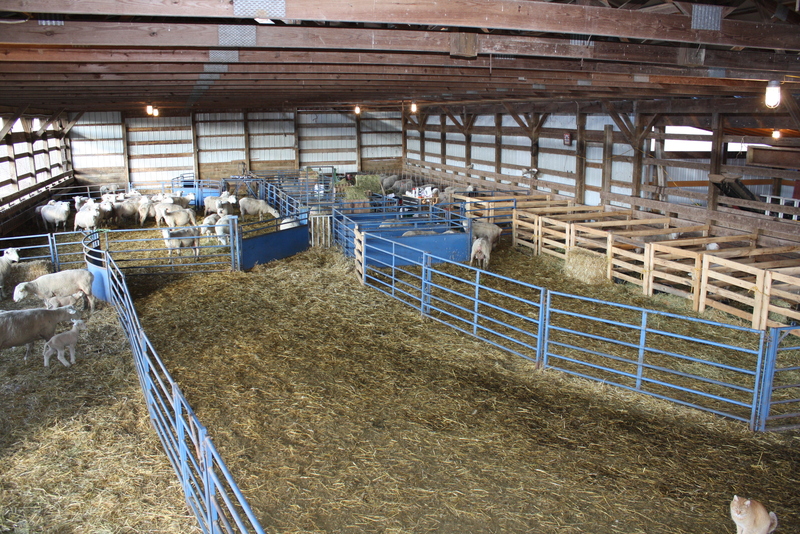 Below is the barn setup in the middle of lambing. In the near left foreground is a mixing pen for singles/twins. In the left background is part of the pregnant drop pen. On the right side of the picture are some of the lambing jugs. 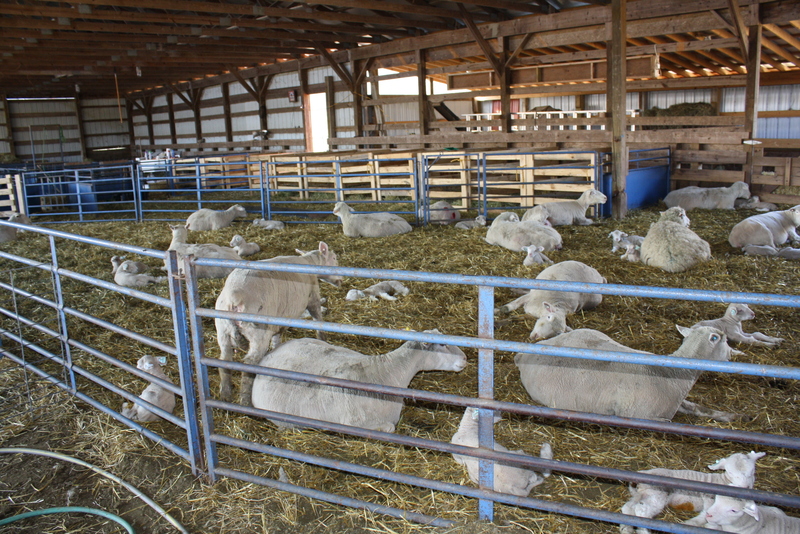 We had to keep re-arranging the barn as the pregnant group shrunk and the number of ewes with lambs grew. 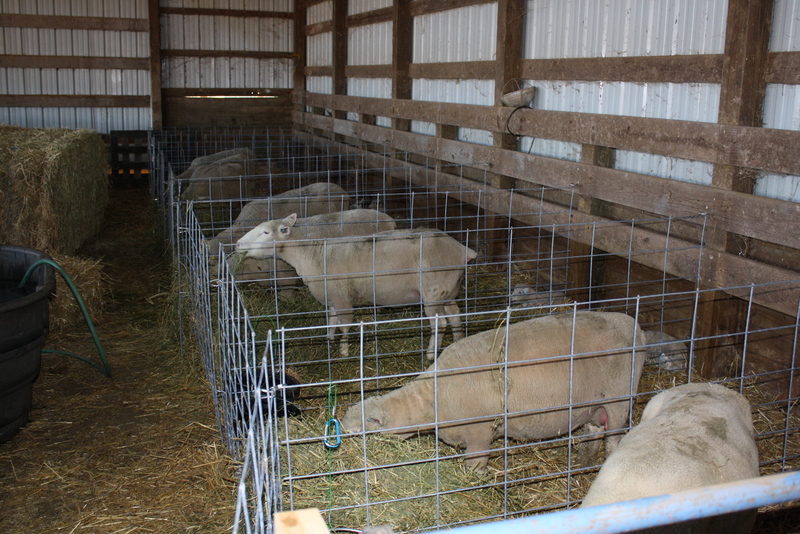 Below are some of the ewes in the makeshift jugs (hog panels) that served us well for this purpose. 2 Responses to 7 days, 150+ lambs, and it’s done! WOW !!!! that is wonderful. Enjoyed the information and the pictures are great. So glad that things went well for you. Hope you enjoy all your little ones in the months to come. Thanks for sharing the link.